The PageLines visual editor is one of the core features of Pagelines DMS. The visual editor is made up of two parts. An interactive preview window at the top of the screen and the DMS control panel at the bottom. 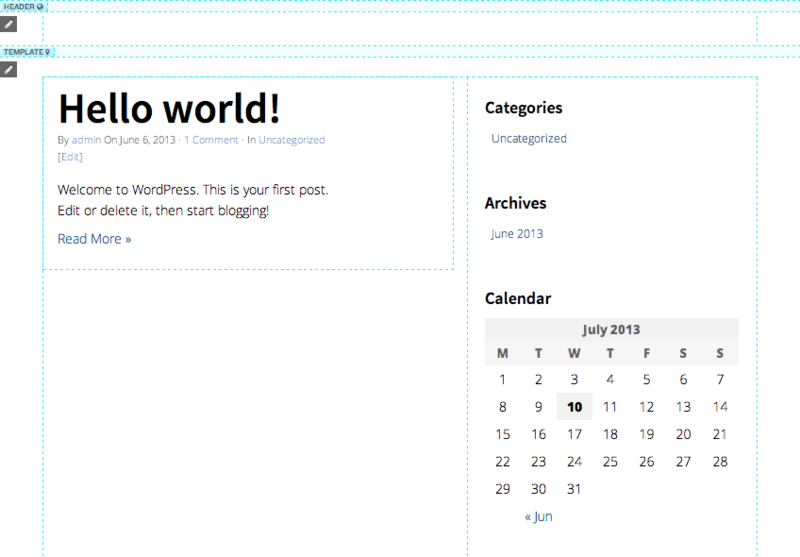 The preview screen is split into a series of containers: header, footer, main column and sidebar. The blue guidelines in the preview window show the boundaries for each container. To populate the containers on your site with PageLines sections, navigate to the "Add sections" tab. The list of available sections will populate the panel. The PageLines DMS uses our revolutionary Drag and Drop interface, meaning you can drag and drop extensions into place directly on your website's front end. Once the section is in place, use the tool bar at the top of the section block to edit the width, access the section settings, clone or delete. To turn off the visual editor, select the power in the DMS control panel. To preview your page without the visual editor grid guidelines select the preview icon from the DMS control panel or use the keyboard shortcut alt+a. 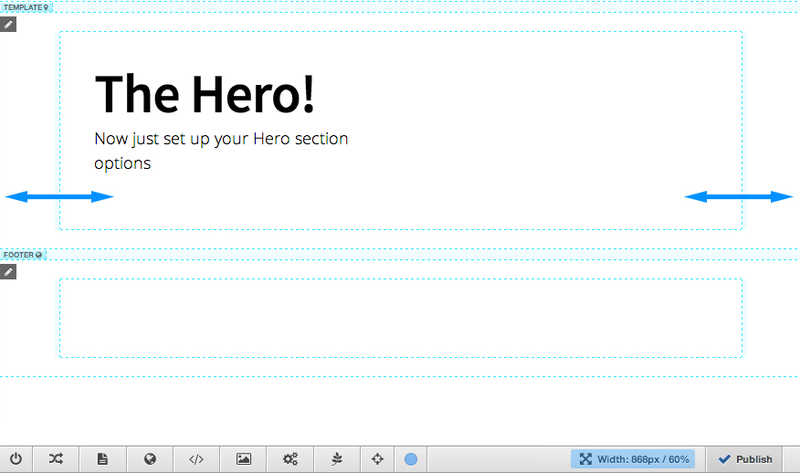 Changing the width of your layout is easy with Pagelines DMS using the visual editor. In the preview window of your site navigate to the edge of the content area, click and drag the page in or out to the required width. The pixel/percentage width of the layout will be displayed in the bottom right corner of the DMS control panel as you adjust the width, use this guide to set a specific figure.